Home MusicRotations	ManMade by Zo! The Foreign Exchange camp holds one hell of a reputation for releasing nothing but the goodness. They steady deliver quality mood music, party music, vibe out music – name it, they got it for you. The latest project to come out from the FE camp is the stellar album ManMade by producer, writer, and multi-instrumentalist Zo! 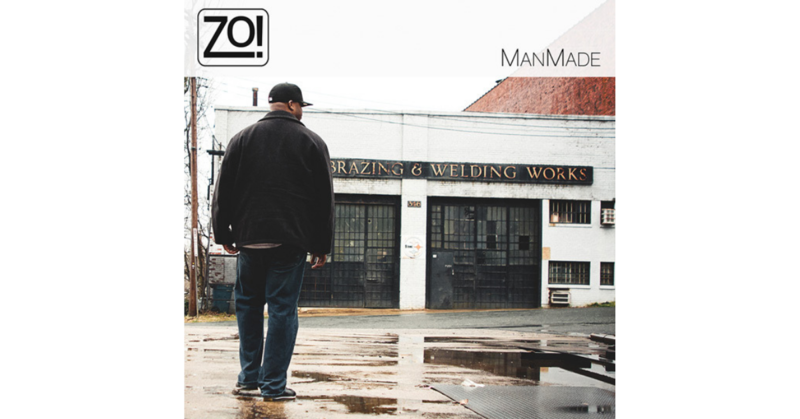 From the first track all the way through to the last track, ManMade is a roller-coaster ride of trip beats, house, soul, and hip hop – all produced and written by Zo!. Not only is the album written and produced by Zo!, but he also manages to outdo himself and play pretty much all the instruments as well. The result is an album that not only holds your attention from the start but has you leaving the entire CD on repeat once you reach the end. flow it up just keep it nice and steady/yeah/I miss your kisses and for you I’m ready/Yeah/you don’t have to make the time it’s already here/so when you gonna come and get it? For a fair evaluation of the album, every track deserves a full out mention. Artistic growth is always anticipated, and Zo!s growth surely is reflected on ManMade. Each song is touched with brilliance from each artist, while Zo!’s vision, ear, and production show no signs of letting up – giving you exactly what you need. The album is deservingly riding the Billboard charts and is already a favourite for many. Feel the groove. The Rhythm with AMC: Friend or Foe?